Please log into WebCollect (Youth Section) to book and pay for your place to enable us to get the correct number of Instructors to the ratio of youths on the water. Please email Sarah at youth.cransleysailingclub@gmail.com if you have any queries. Please arrive at least 30 minutes before you are due to be on the water to make sure your boat is rigged and that you are in your sailing kit, ready to start the session on time. Consent forms MUST be completed by parents/guardians prior to youths going out on the water. Providing we have enough youths interested we will be running OnBoard Training Sessions in the Easter holidays 9th, 10th, 11th and 12th April. We will programme the days according to the ability and confidence of the sailors. Please book using WebCollect (Youth Section) - if we have to cancel due to lack of numbers you will receive a full refund. involved with sailing in an educational environment. Concentrating on primary and secondary education. ITCA (GBR) is the Class Association for Topper sailors in the UK. We are known as "The Friendly Class", with sailors keen to welcome new members and parents and supporters who are always happy to help one another and promote good sportsmanship. 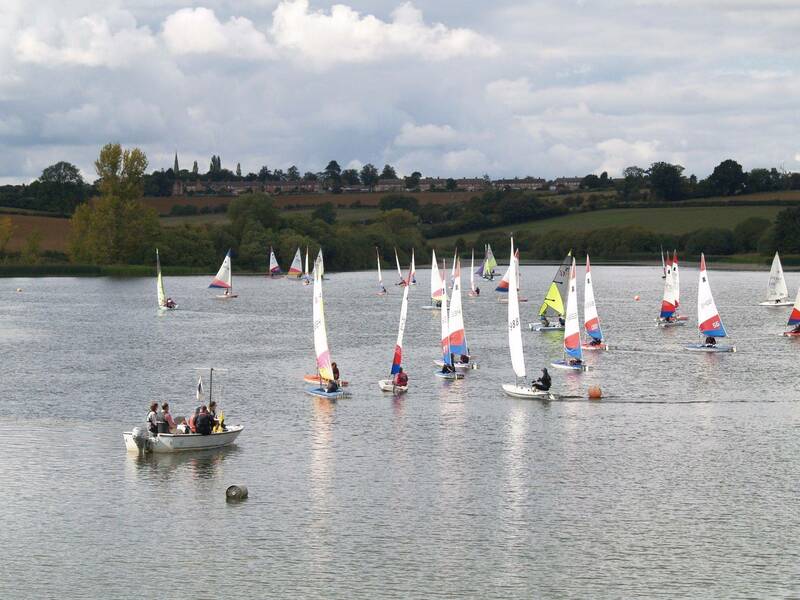 We organise coaching and racing events for Topper sailors both at a regional level and nationally, and although the Topper is sailed predominantly by junior sailors we have active members of all ages in our fleet. OnBoard sessions will take place from April to October. These sessions are open to all Cransley Youth sailors aged 8-18 and youths wishing to try out a 'taster sailing session'. Club Toppers, RS Fevas, Laser Bugs and Picos are available for training sessions. Please arrive in good time to allow you to set up your boat and be ready to start promptly. The sessions normally last around one and a half hours. Sailors will be expected to rig and de-rig their boats. Parents/:Guardians the sessions will still be held even if wet and windy. We appreciate your help onshore or on the water, please sign up on the volunteer sheet. Thank you. OnBoard is run by sailing’s National Governing Body, the RYA, OnBoard is a highly successful industry supported grass roots programme which seeks to make sailing easier to get into for young people. Over a ten year period the programme aims to introduce a minimum of 500,000 children to sailing in the UK, converting over 10% of them into regular participants. So far it’s nicely on track. 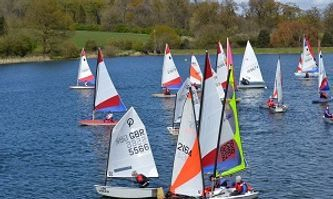 Cransley Sailing Club is proud to be involved in the OnBoard scheme as from April 2012 all our youth training sessions will be under the OnBoard umbrella. Our Principal Instructor Nigel Austin oversees training at CSC. Our youth training programme is for members only and introduces young people to both the fun and discipline of sailing and the social side of being part of a club.